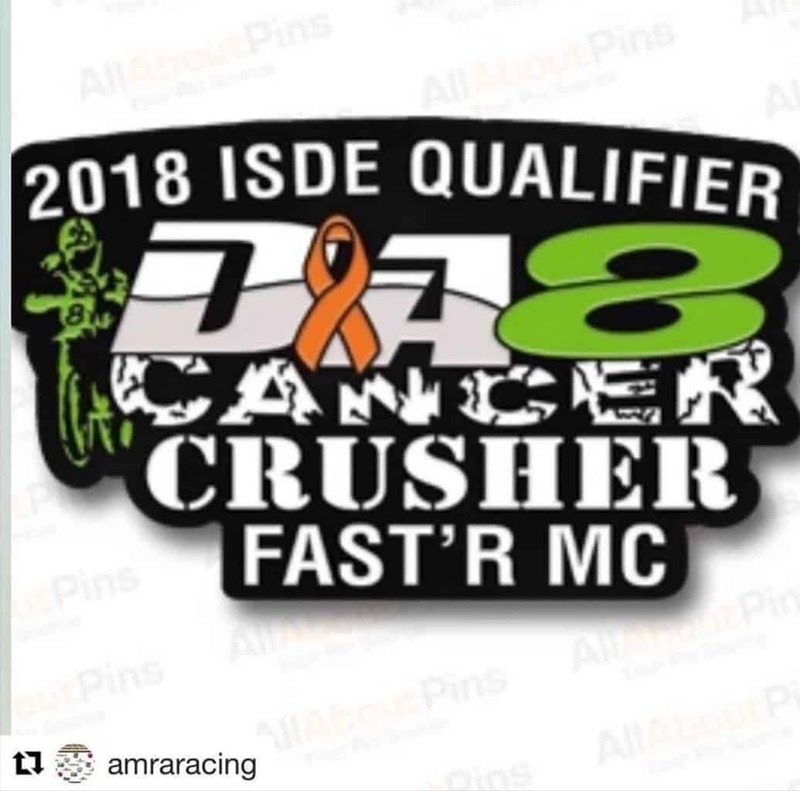 As you can probably imagine I was a little nervous going into this race, because this was my first time racing an offroad race in the 2-years since my Leukemia diagnosis! I’ve actually been feeling great on the KTM’s and love them. My speed has been good, but I’m still lacking on the fitness side. Which has a lot to do with the Chemo I still have to be on until the end of the year, plus age might be a slight factor too (45 now). 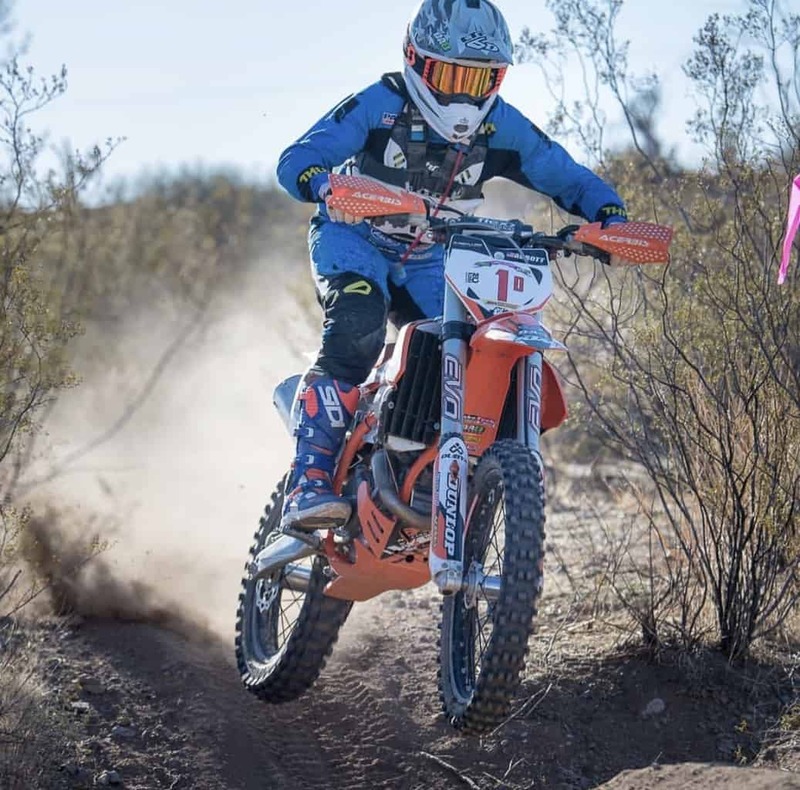 Destry Abbott: Pushing hard and standing as much as possible in the tests! We had some amazing views during our transfer sections. 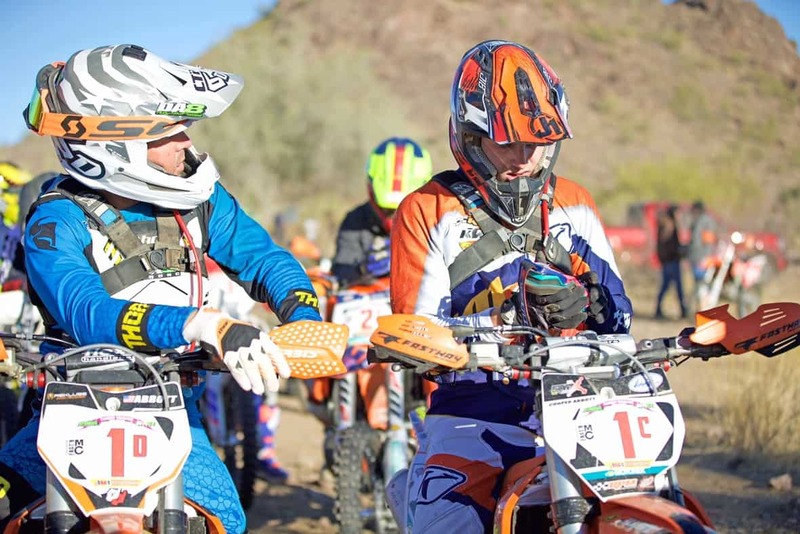 Cooper and I are wanting to go to this year’s ISDE race in Chile, but a lot of it depends on how we’re doing financially and if we both qualify for the US Team. This was Cooper’s first ISDE Qualifier and I was pumped to see we were both on the same row, so I could help him out even more. Being on the first row was nice in some ways, but some of the tests were harder since there wasn’t a line yet and I had to really read the terrain well. I ended up overalling the very first test on day one and couldn’t ask for a better way to start. 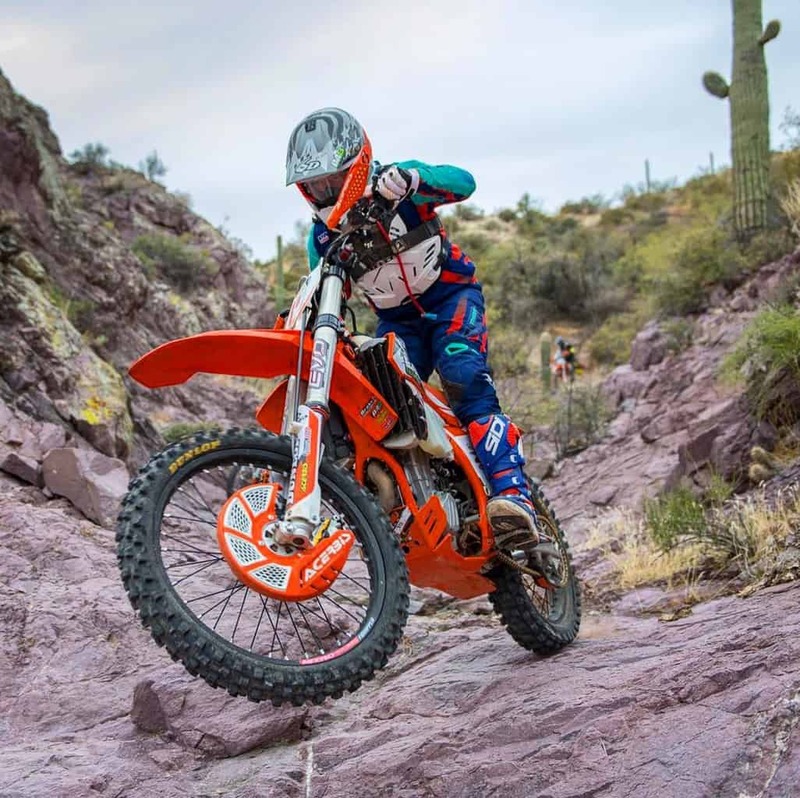 We still had 5-more tests on day one and some awesome transfer sections that AMRA put us through. I felt really good early, but honestly bonked pretty bad a few hours into the ride. We still had four tests that were all at the end of the day and I found myself sitting way more then I wanted to, but my mind and body weren’t listening to each other. By the end of the day I was still happy and it was an amazing feeling being back out there racing. I later found out I finished 5th OA and 4th LOI which wasn’t to bad. Today we were going to do the same 6-tests again, but this time they were going to be backwards. The very first test I was pushing pretty good since I was fresh again, but washed my front end out on a slippery corner. I lost some time, but overall it wasn’t to bad. Having the “magic button” was nice and not having to kick start the 450 is always a plus! The rest of the tests went pretty well and I definitely didn’t bonk near as much which was nice. Overall, I was really happy with the way the race went and couldn’t ask for much more. 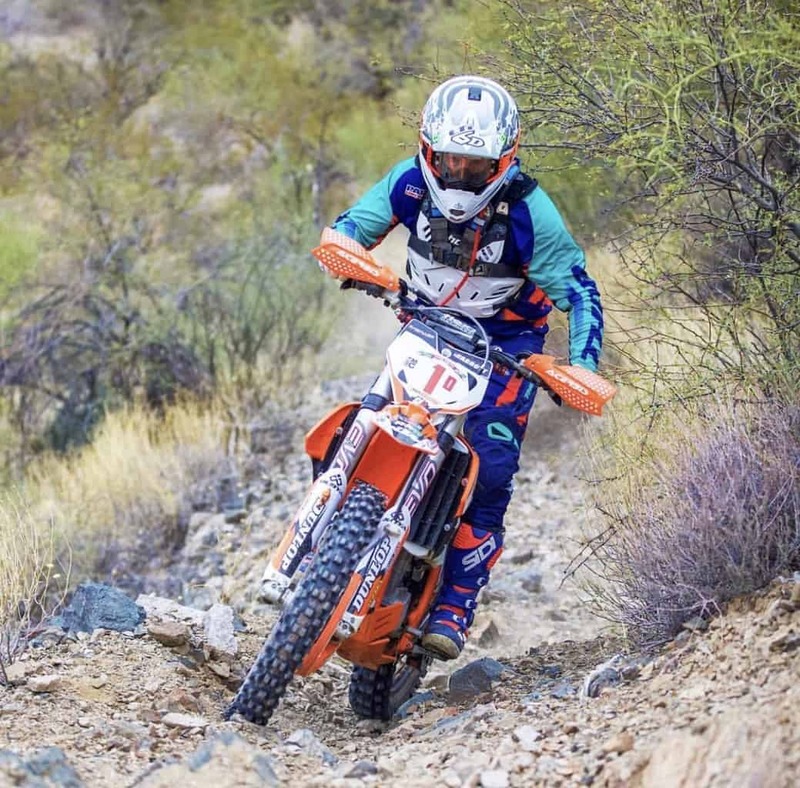 Huge thanks to KTM for helping me out and the bike I raced was pretty much stock, besides a few bolt on products. I’ve honestly fallen in love with the KTM’s and the power is so user friendly that it’s been making it easier for me to ride and race. 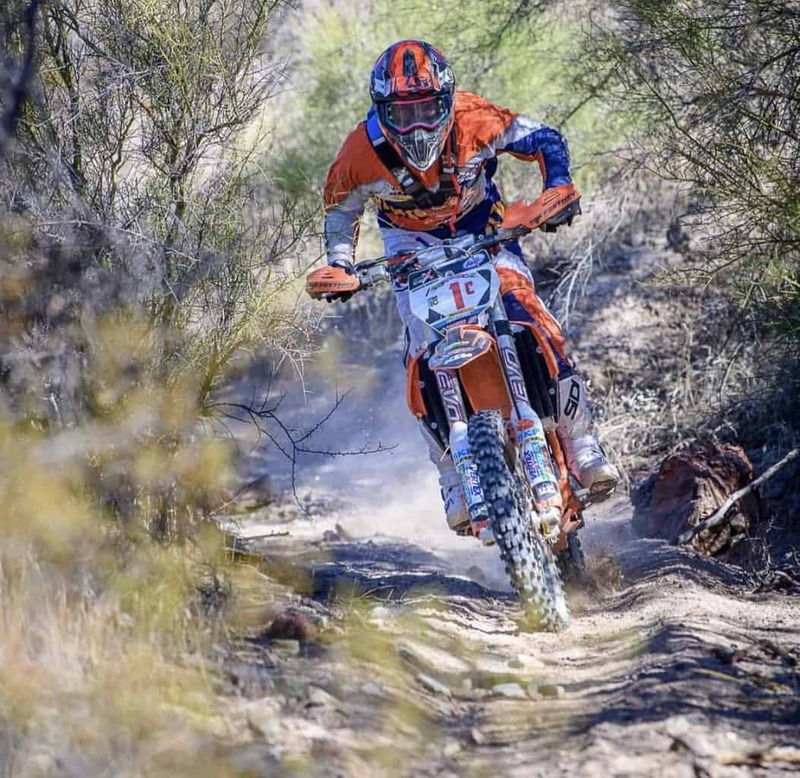 Pretty amazing to go to the races these days and see KTM and Husqvarna with over 80% of the entries. They’re definitely doing something right! AMA and AMRA did an amazing job with this event! The best part was having them supporting our DA8 Strong Foundation (Non-Profit 501c3) and donating to it. My wife and daughter have been running that side of things and have been doing an amazing job giving back to cancer patients. My next race is in a little less than 2-weeks, which will be the first round of the WORCS race in Las Vegas. Really looking forward to that and racing the kids again! Thanks to Mary Rinell and Roosted Lens Photography for the great photos!